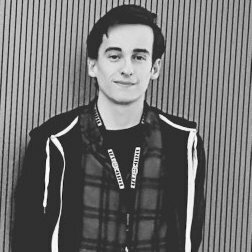 Game design student, avid gamer and champion of student opportunities, Charlie is one of the organisers of the Game Anglia Indie Showcase. Charlie first stepped into the realm of games design in 2016 when he enrolled as a games design student at the University of Suffolk. Currently he is taking time out of university to work as a Design Intern at Cloud Imperium Games on Squadron 42, the single player component of Star Citizen. Outside of university, work and his chocolate milk addiction, Charlie loves to spend his time working on personal projects and taking part in game jams. He also enjoys watching movies and playing an unhealthy amount of games. Charlie not only co-organises the indie showcase, but he also gives talks to students and at careers events on a range of game development subjects for Game Anglia. The thing that Charlie is most looking forward to at Game Anglia 2018 is meeting the fantastic indie developers, speakers and attendees.